Hello! Ever since I got my Gucci glasses from Vision Spa, I've been wearing them 99% of the time but sometimes I wanna look different too. 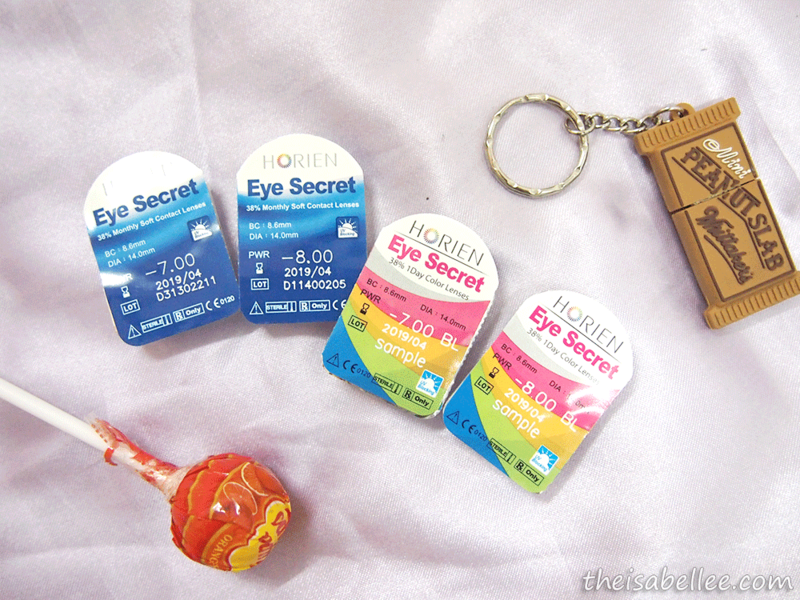 Plus le Bf has been commenting that he rarely sees me in contact lenses nowadays..
Got a bunch of goodies from the Horien launch the other day. I've been looking for a coloured con with smaller diameter but so far I have not settled for any. So glad I got these to try out. The circle design is really natural and not harsh. It even blends inwards. The colour given was black so it's barely noticeable. I do LOVE the enlargement though. 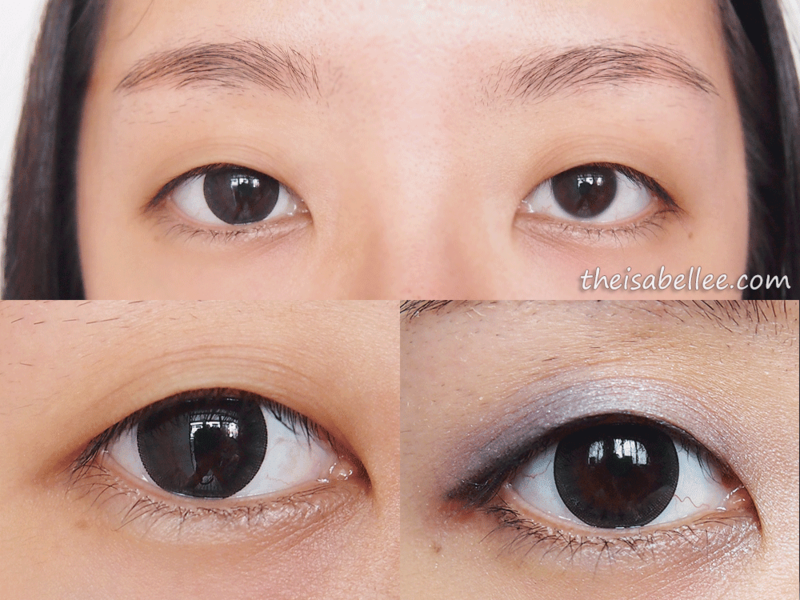 Even though it has a diameter of 14mm, it looks bigger than the 14.5mm ones that I've tried =/ It gives my eyes a more 'awake look' while keeping it natural. 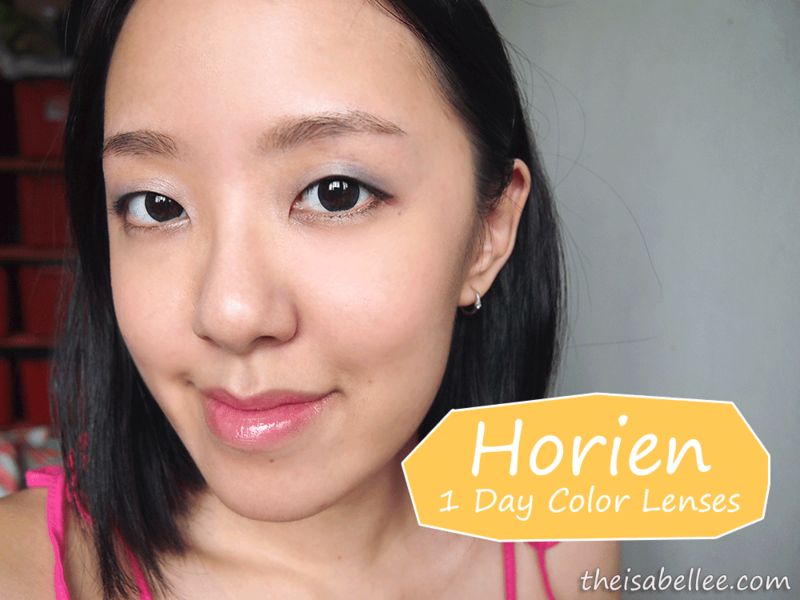 How's my pair of polarized sunnies from Horien? haha.. 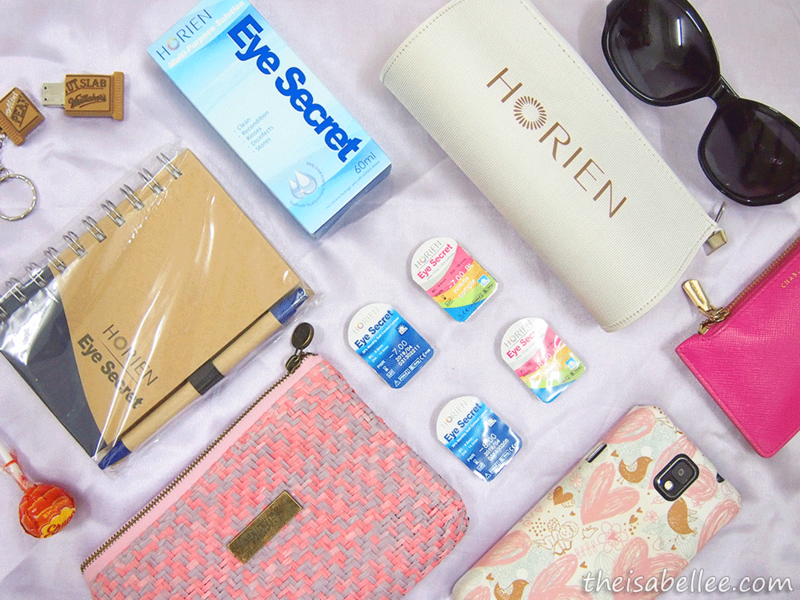 Feeling fab with my Horien lenses! You can barely see that I'm wearing coloured lenses. 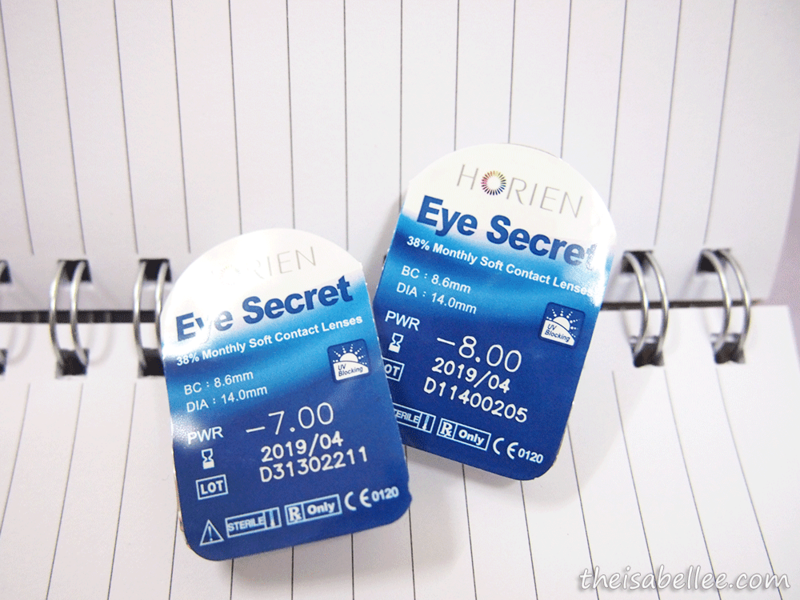 This pair was from their dailies but they also have clear & coloured monthly lenses. I'm aiming for their brown monthly lens. For someone with dry eyes, the water content felt average to me. I will try these clear ones next to see if they're better. 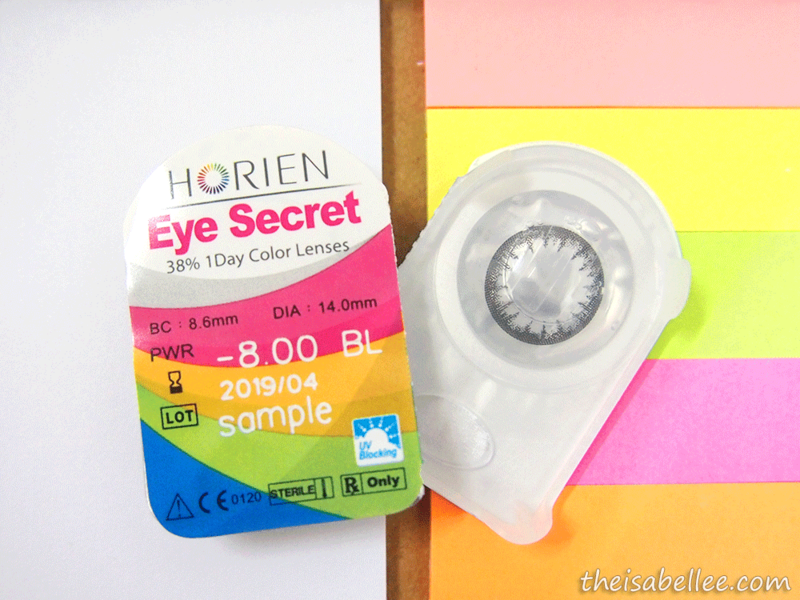 The lower 38% (compared to 55%) is supposed to feel less drying because the lenses do not have to draw as much moisture from its surroundings. 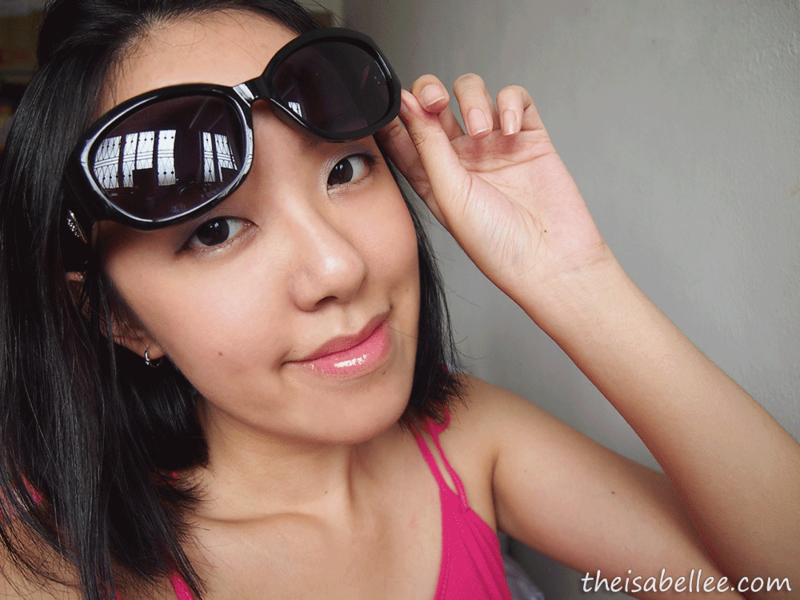 I will probably get a pair of the monthly coloured lenses from Vision Spa to try out. It's affordable at RM 55/month and comfortable enough.